Whenever cheesecake is around, I tend to go for the biggest slice I can get my hands on. It's easy to go a little overboard. 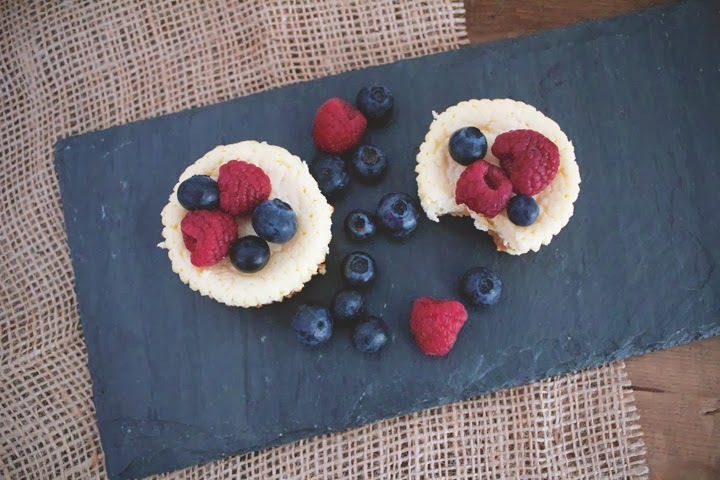 After all, who doesn't love cheesecake!? A couple years ago, I started baking and received a cupcake calendar as a gift. It was filled with a bunch of amazing recipes, but this one is my favorite. 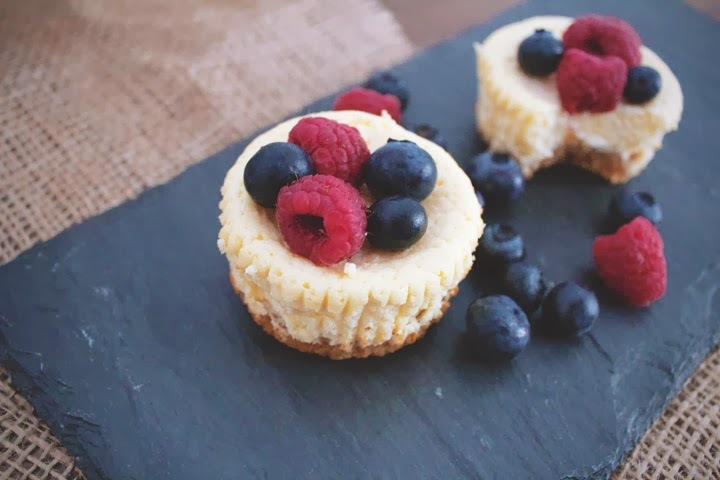 These cheesecake cupcakes are super easy to make and also delicious. Instead of going for a giant slice and overdoing it, the cupcake size is perfect. 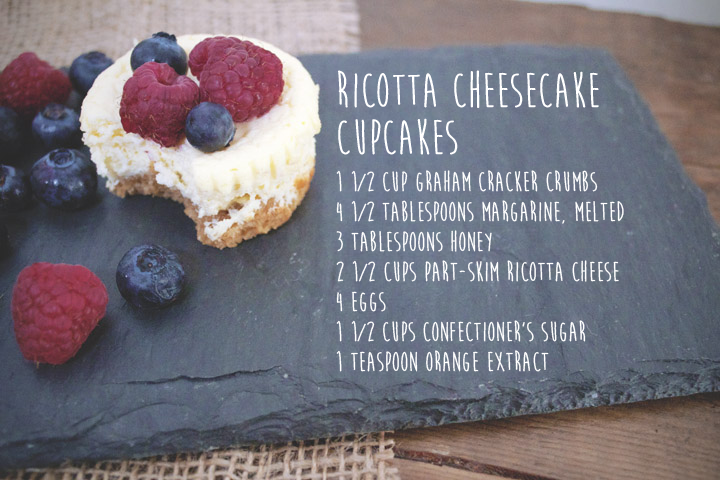 I also like that this recipe uses ricotta cheese. It's much lighter tasting than cream cheese and is lower in fat (bonus!). In food processor, combine graham cracker crumbs, margarine, and honey. Spoon 1 tablespoon of the mixture into each cup, pressing firmly into the bottom. Chill until set. In a large bowl, beat ricotta cheese with an electric mixer until soft. Then beat in eggs, confectioner's sugar, and orange extract. Spoon mixture into cups. Bake for 25 minutes. Cool for 5 minutes then remove cupcakes and let fully cool on rack. Add fruit to top if desired (we picked raspberries and blueberries). Chill until ready to serve. Keep in refrigerator for up to three days. Thanks Blair! Hope you enjoy the recipe and try them out one day. You won't be disappointed. Made these this evening! They're fabulous!